It’s summertime and that means that kids and families are traveling — and sometimes not all at the same time. Which always brings up the topic of children traveling alone. There’s been a lot of press on children traveling alone. CNBC reported on a story about the re-seating of male passengers on two Australian airlines, and a story by AP told of an airline losing an young girl traveling as an unaccompanied minor. So, with these stories in mind, would you let your child travel alone? It’s time for some sweet treats in San Francisco! July is National Ice Cream Month, and Kimpton’s Hotel Triton in San Francisco is observing the occasion with its popular Haagen Dazs Sweet Dreams package. The hotel, known for its fun and playful vibe, actually celebrates the cold and creamy treat year-round in its Haagen Dazs “Sweet Suite,” which was recently refreshed. 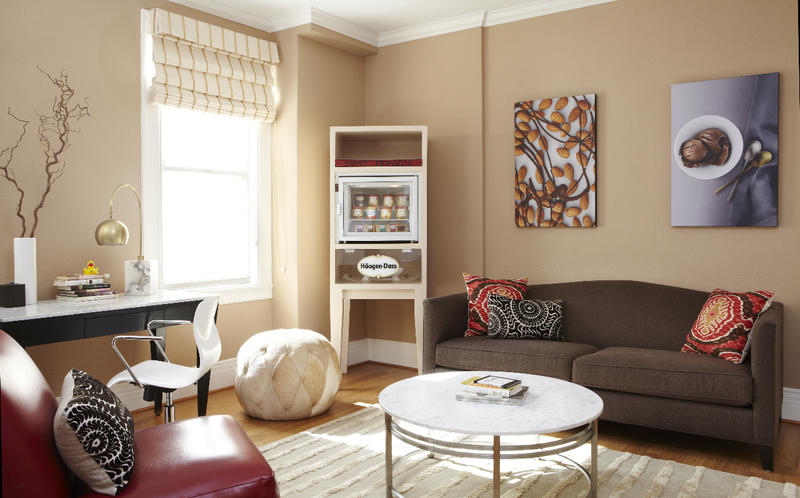 Celebrate National Ice Cream Month in the Sweet Suite at Kimpton’s Hotel Triton in San Francisco. Guests can further indulge their sweet tooth by booking their stay in the hotel’s notorious themed Sweet Suite, featuring the “Sweet Spot,” an ice cream cabinet that is stocked with bowls, scoops and spoons and complimentary cartons of Haagen-Dazs ice cream. Best of all, guests can enjoy as many cartons as they desire and a portion of each “Sweet Suite” guest’s tab is donated to the Haagen-Dazs brand’s charity of choice, Delancey Street Foundation.